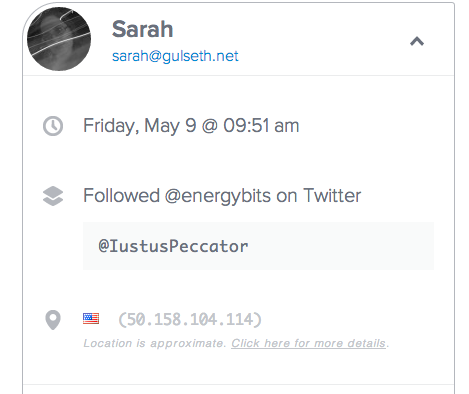 #PoweredbyBits: Review & Giveaway! + Winner! 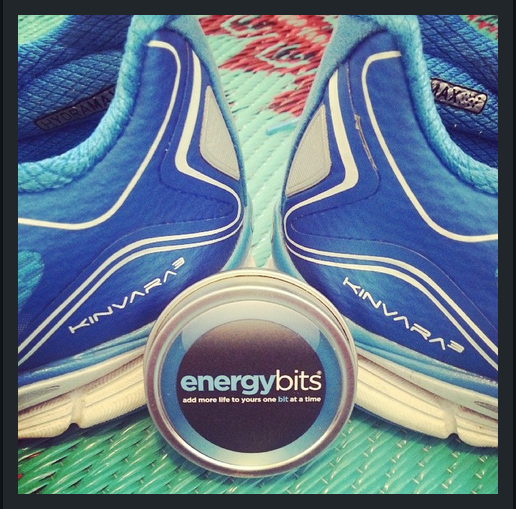 Recently I joined a weekly #Runchat twitter chat sponsored by ENERGYbits. I was very intrigued to learn more as I had increasingly spotted their travel tin all over on Instagram by fellow runners and plant-based athletes. 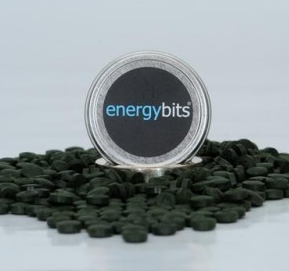 Organically grown spirulina for energy? Heck, I’ll try anything once. I was very excited to receive a sample to review and tell you how you can win a sample for yourself. I also have a discount code for you! 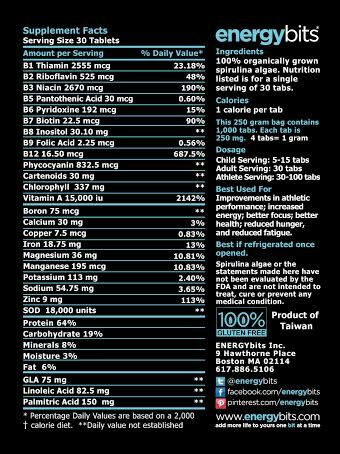 What are the ENERGYbits tabs? Have you ever (un)intentionally drank ocean water? The tabs remind me of the salt water and of seaweed. They’re very small and can easily be swallowed with any liquid. I looked at the tin of dozens of tabs and thought, ‘How on earth am I going to take 30 right now?’. For those of you who aren’t the pill popping, vitamin consuming types, this may pose a problem. I decided to start easy and take a few at a time. I took 5 tablets every 90 minutes and found them to be remarkable. 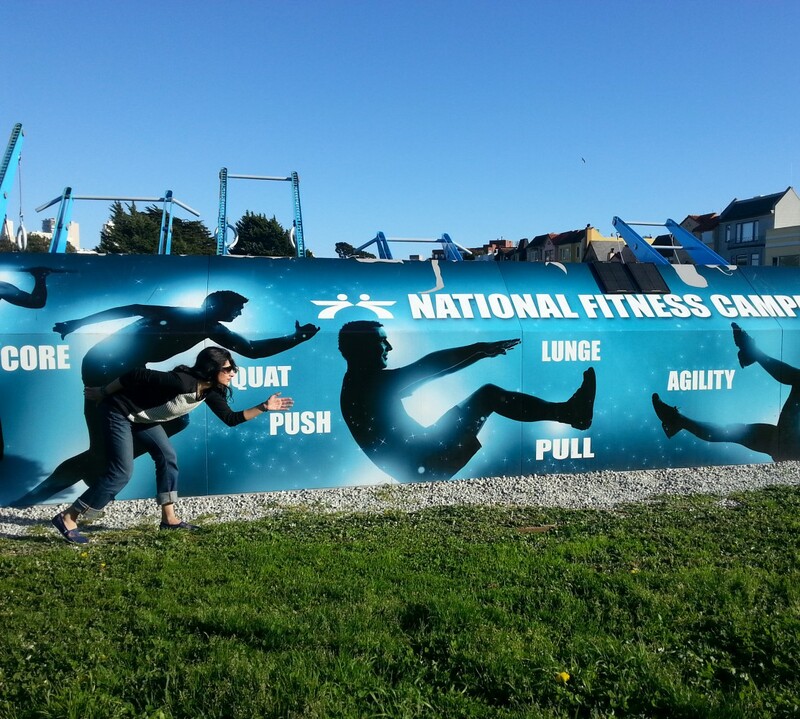 I had sustained energy throughout the day, which included numerous exercise activities (swimming, running and lifting). The tabs are VERY green, so it’s best to swallow them instead of chewing. They have the highest concentration of protein in the world (64% protein which is three times the amount of protein in steak), over 40 nutrients, and are just one calorie per tab. The next couple of times I took the tabs I was expecting similar results, and I tried them at different times of the day, knowing when I would be at an energy deficit. I was pleasantly surprised that the bits delivered every time. Just a handful of 30+ bits will not only fill you up, they will meet most of your daily nutritional requirements, and all for just ONE calorie per tab. I’ve taken my fair share of energy gels which often leave my stomach unsettled. I had absolutely no negative after effects from the tabs. Spirulina is a nitrogen based algae, and since nitric oxide opens up your blood vessels, taking our ENERGYbits® will give your brain and your body a steady and natural supply of oxygen and nourishment. Everyone could benefit from including lots of whole plant foods in their diet. There’s a quiet movement happening in the background of our lives. Plant foods are increasingly being recognised for their health benefits, and their role in preventing and even reversing many chronic diseases. People are beginning to wake up and smell the kale. Lean protein with greens. Lean chicken breast or fish pan-seared or baked. The meat will be 1/3 of your plate. To prepare the chicken or fish, use any marinade that is light and just a few ingredients. I like lime juice, olive oil, salt and crushed red pepper. Prepare any green to represent 2/3 of your plate. My favorite is roasted brussel sprouts. Slice and toss them in a bowl with olive oil, paprika, red pepper, salt and rosemary. Towards the end of roasting, I add sliced almonds. Boil the whole cauliflower in stock for 5-7 minutes, remove it from water and break down into little florets. Boil 1 cup of pasta in the same water. (or could use quinoa). When you finish the pasta you can toss all but 1 cup of water. 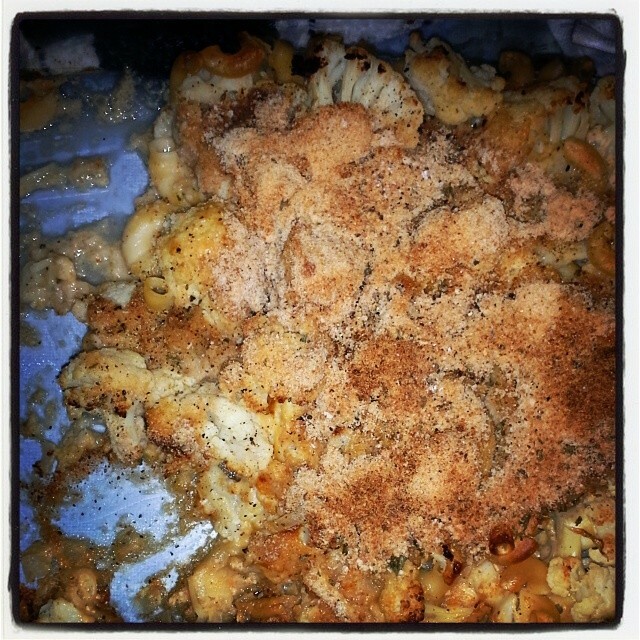 Place florets & pasta in a lightly oiled baking dish. Next saute onions, garlic in a bit of butter/oil. Add to it 2 cups of milk of your choice and about 3 tbsp of flour (some people use nutritional yeast). I added about 2-3 tbsp of dijon mustard, some salt & pepper. Add about 1 cup of grated cheese, whatever kind your heart desires. Pour this into the baking dish, add the remaining cup of water, and sprinkle bread crumbs all over the top and bake at 400 for 10-12 minutes, or until you get that nice brown crust. Disclaimer: I am not 100% vegan, but I have vegan tendencies. 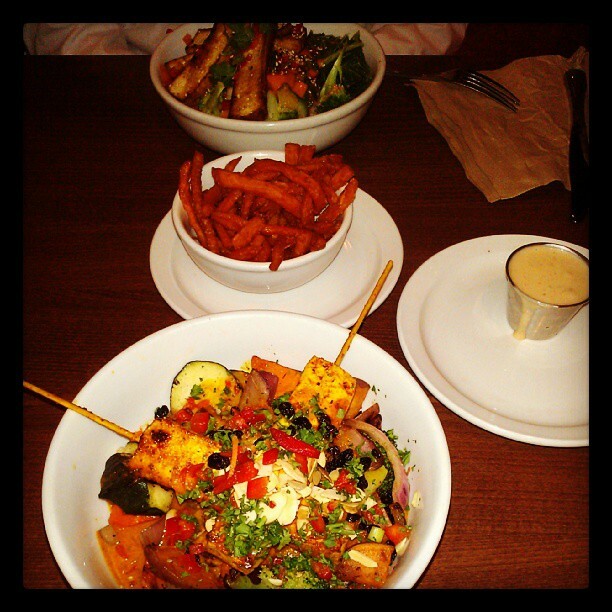 I am not 100% vegetarian, but I have vegetarian tendencies, hence I call myself a flexitarian. Why? (I can’t think of any reason why not? It’s better for my health, the environment, the animals, and it is also following the tradition of the Prophet Muhammad). It’s been about 5-6 years now that I’ve migrated to a more ‘flexitarian’ lifestyle, but the last 2-3 years are more focused on plant-based. Leaving meat behind was something I found challenging, especially growing up in a Pakistani household where meat is on the table every single day, and more often than not, twice a day. Consider my challenge cutting meat to only once or twice a week! My parents were at a loss and very confused when I would come to visit and announce I would not be eating what they served, or that I wanted vegetables, without the meat. But you need protein, they would insist. And my husband and I would start reciting all the alternative sources for protein and maintain that surely we were not robbing ourselves of nutrients. Aside from the dozens of documentaries that have come out in recent years, all touting the wonders of eating clean, more plant-based and ‘meatless Mondays’, there are traditions in my faith that also encourage eating meat sparingly. Fast forward to now and I’m happy to say they’ve also changed their ways and we’re all on our way to eating healthier and sourcing more plants into our diet. So, you’ve always wondered how to get yourself started? Here are 10 ways you can jump start a plant-based lifestyle. 1. Swap out dairy for nut / seed milk – not only will you feel instantly better, but you will save yourself the calories and fat. I’m not lactose intolerant or completely dairy-free however, I still enjoy greek yogurt 🙂 Soy is a suitable alternative, when consumed in its purest form. 2. Add brown rice protein powder to smoothies. Either as a replacement for whey protein, or to increase your daily protein consumption. If you are loading up on fruits for carbs, then adding brown rice protein to the smoothie will balance out your glycemic index. 4. Swap out rice for quinoa. This one is tough to accomplish in the Pakistani household, but I sometimes keep 1 cup of cooked quinoa on hand because it is so versatile (can be eaten cold or hot). 5. Love stirfry? Swap out chicken for extra firm tofu. My son doesn’t mind the difference. 6. Drink a green smoothie daily. Get your fruit and veggie fix: kale, bananas, pineapple, berries, beet greens, spinach, peanut butter, hemp seeds, maca powder, you name it. 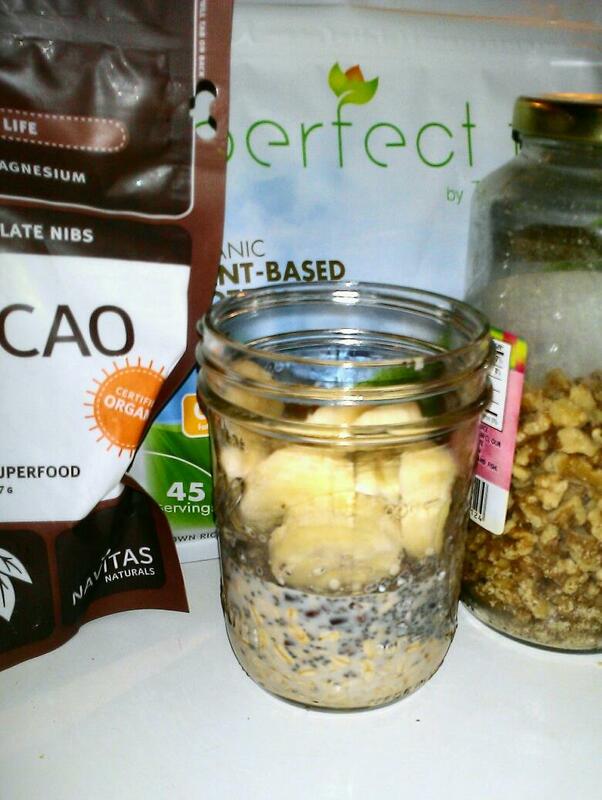 Add some chia seeds for extra fiber and brown rice protein to balance out the glycemic index and at 3pm you’ll be more energized that that coffee you were previously drinking. 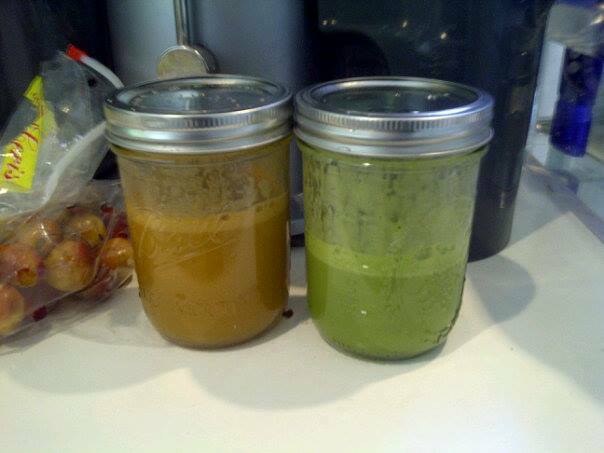 (I also make fresh juices in the summer for a couple days at a time). 7. Construct massive salads. If you want to eat plant-based, then, well, you have to eat plants. Rotate your leafy greens on a weekly basis, and add various sources of protein to it. Here’s where you need to be creative: seeds, nuts, fruits, tofu, beans, veggies..
8. Love wraps? Consider using a collard green as the wrap, instead of a tortilla. Lightly warm up the green on the stove to soften it and fill it up as you would a tortilla. Not only completely green, but also gluten-free. 9. Love burgers? Here’s the real challenge for me! I do love my burgers, after all I’m a Chicago girl and appreciate a good burger 🙂 Black bean burgers, or even garbanzo bean burgers are equally satisfying and easy to make at home. 10. Oatmeal for breakfast. Even though this sounds obvious, how many of us skip breakfast? This is perhaps the most portable, perfect breakfast you can consume. Load it up with nuts, cinnamon, cacao nibs, dried fruit. And in the summer, opt for overnight oats and eat them cold right out of the fridge in the morning. 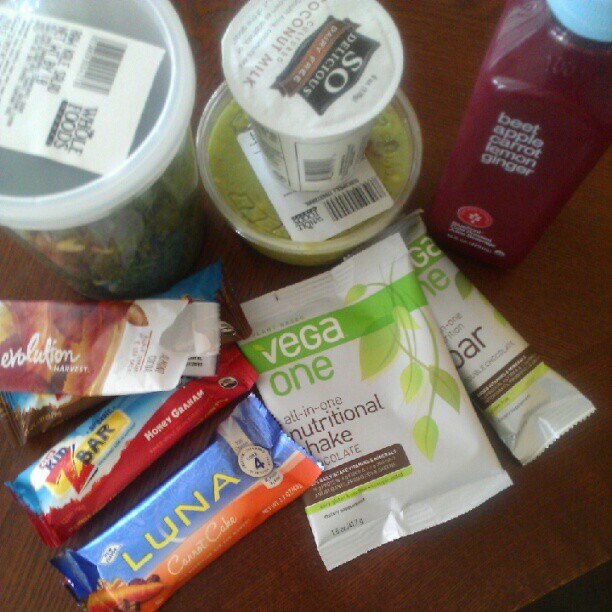 Check out Oh She Glows for some awesome starter ideas! 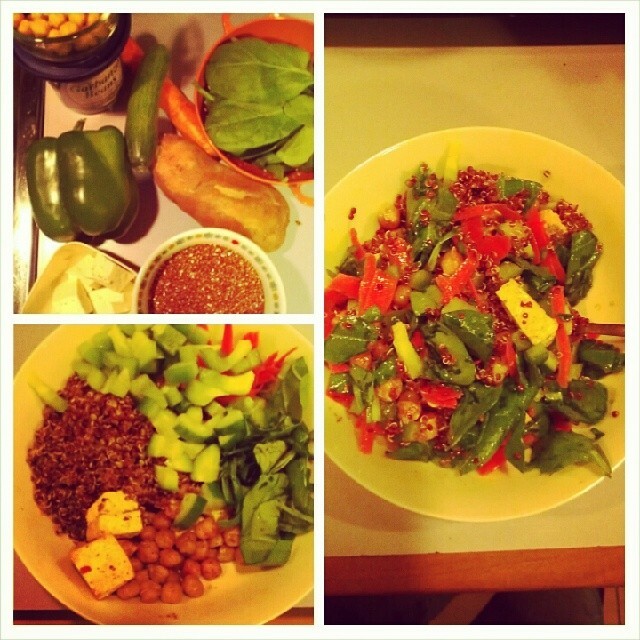 The bottom line is that eating more plants has made me feel lighter, healthier, and responsible. I have never been stronger and more physically fit than before, and I really attribute a considerable portion of that success to eating more plant-based foods.